Greenpeace is pulling strings in Senegal to stall Russia's effort to release a fishing ship with over 80 members of crew on board. 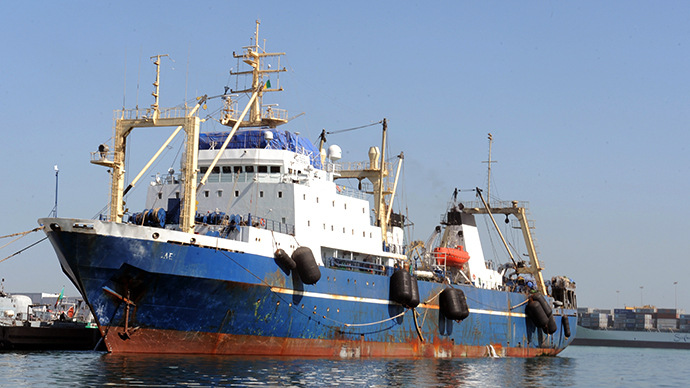 The vessel was impounded last week on allegations of illegal fishing, says the Russian fishery regulator. The accusations come after Senegal authorities revoked their earlier permission to let the captain of the ship, who had been injured during her capture, be treated in a Dakar hospital and failed to appear at a scheduled round of negotiations. “Based on these statements from Greenpeace, one may conclude that the army of Senegal is acting upon these claims,” Aleksandr Savelyev, head of the Rosrybolobstvo's press service, said explaining the agency's allegations against the environmental organization to RT. He added that Greenpeace words “evoke bewilderment, even indignation”. The Russian regulator reiterated accusations against Greenpeace, which it blamed for the impounding of the Oleg Naydenov trawler. The agency cited a Tuesday statement by Greenpeace Africa, which praised the Senegal government for detaining the Russian ship. 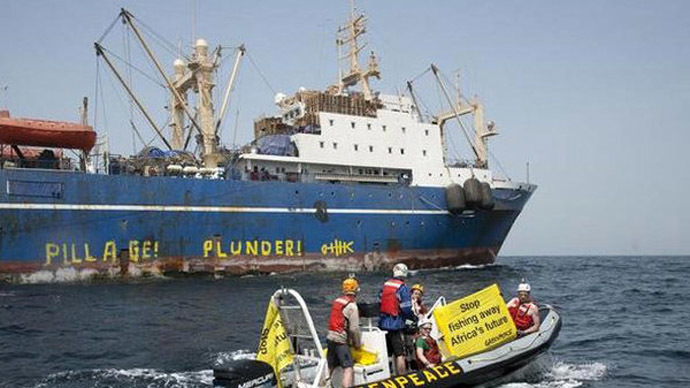 “Following the detention of the Russian-flagged trawler the “Oleg Naydenov” by the Senegalese national navy on charges of illegal fishing, Greenpeace reiterates its support to the government of Senegal for the enforcement of fisheries legislation and calls on the President and his government to remain firm on its commitment to put an end to illegal activities by such vessels,” the statement read. 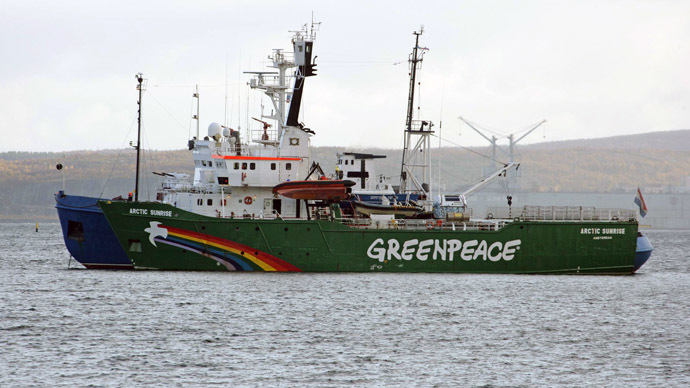 Greenpeace says the ship has a bad reputation and had been caught red-handed fishing illegally in Senegal's waters in February 2012. 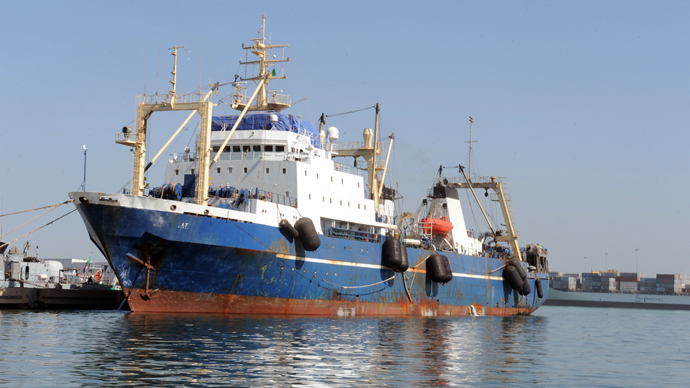 The organization says that Oleg Naydenov, along with numerous ships from many nations, is involved in overfishing off the West African coast, which is facilitated by corruption in the local governments. “Why are they taking upon themselves what is a government's responsibility to protect their waters and biological resources?” said Saveliev. Last week's detention however leaves many questions unanswered. The Russian ship was apparently raided by Senegalese military in the waters of neighboring Guinea-Bissau before being escorted to Dakar port. There were some scuffles between the armed soldiers and sailors on the boat, in which two Russian crewmembers, the captain of the ship and a female cafeteria worker, sustained injuries. In the wake of the detention the irritated Rosrybolobstvo said the captain would be taken to a local doctor for examination and the subsequent report would be used as evidence in the conflict. This, however, hasn’t happened - the entire crew remains arrested on the ship. Meanwhile, according to Rosrybolovstvo no drinking water supplies have been delivered to the ship, as Senegalese permission is needed in order to approach the vessel. A Senegalese inspection of the ship failed to find any violation on the part of the fishermen. The country has so far presented no evidence of any wrongdoing by Oleg Naydenov. The detention however sparked a diplomatic crisis between Senegal and Guinea-Bissau. The latter severed diplomatic relations with its southern neighbor and arrested several Senegalese fishing boats. Guinea-Bissau wants to put leverage on Senegal to secure release of 23 of its citizens, who are among the Russian ship's crew and remain under arrest. The Russian foreign ministry says Dakar is avoiding contact with Moscow, which does not help in resolving the issue. “We are continuing our effort to establish a contact with Senegal on a necessary level to settle the issue and finally get an official explanation on the circumstances of the detention, including the handling of the crewmembers and the ship,” Konstantin Dolgov, human rights ombudsman in the ministry said on Wednesday. In the absence of any official statements from Senegal's government on the unfolding conflict, the position of Greenpeace, which appears to be jumping to conclusions and presuming the guilt of the Russian fishermen, seems dubious. The organization recently had a major falling-out with Russia, when it sent its ship to stage an unsanctioned protest at a Russian oilrig in the Arctic. The ship and 30 activists on board were arrested and prosecuted under hooliganism charges. Greenpeace branded Russia's actions as persecution of peaceful activists and launched a campaign to condemn the arrests. The activists spent several months in police custody, before a mass amnesty law forced the Russian prosecution to drop the charges.